Do you love smoothies but can't handle the milk or yogurt? Then you've got try this dairy-free smoothie recipe. It's cold and creamy just like a regular smoothie but the base is coconut milk, which is absolutely delicious with the banana and berries. 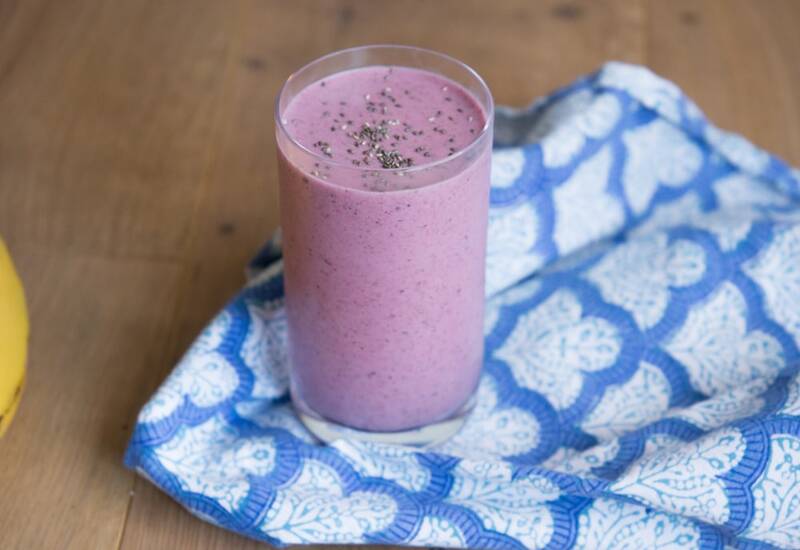 The recipe works great with frozen berries so you can make this smoothie year round. Use your immersion blender to get a perfectly smooth smoothie in just a few minutes. You can even portion them in advance into smoothie packs to make for even quicker morning smoothie-making. Chia seeds are not just something to grow chia pets. They have become a popular addition to smoothies for their tendency to expand in liquid and help give that "full" filling you want from a quick and easy meal-replacement drink. Before bananas get too brown on the counter, peel and cut them for freezing for easy use in smoothies. Frozen bananas add even more texture to your smoothie for a creamier beverage. Per Serving: 379 calories; 26g fat; 39.5g carbohydrates; 5g protein; 0mg cholesterol; 22mg sodium.